Reports have surfaced that China has blocks the water flow of one of Tributary of river Brahmaputra in Tibet. This development has been reported by China’s news agency Xinhua. If this report is to believed, then the volume of water in Brahmaputra flowing into Assam and Arunachal Pradesh will be reduced. Such a move will also affect the flow of river Brahmaputra in Assam which will turn out be a great cause of worry for India. China decided to press ahead with this plan when India decided to reconsider the Indus water treaty it has signed with Pakistan following the Uri terror attack. Hence it is also being anticipated that this move was in effort to bolster its ally, Pakistan. According to the report however, the full consequences of blocking the tributary’s flow on nations such as India and Bangladesh which lie on Brahmaputra’s downstream isn’t completely known as of now. China also started a 1.5 billion hydropower project on Brahmaputra in Tibet last year over which India has expressed its deep concerns. 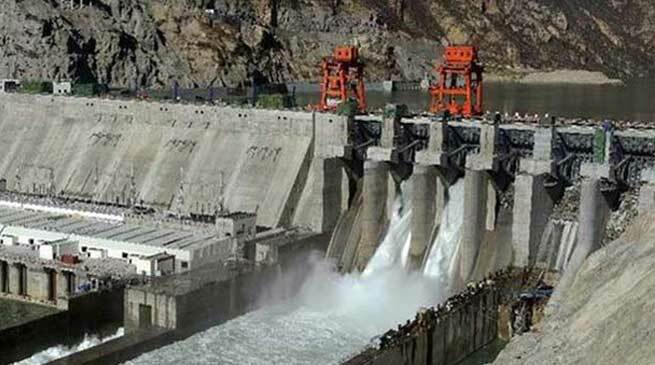 China also started another hydropower project back in 2014 on the ‘Yarlung Jongbe’ river, a tributary of Brahmaputra in the Jaigas region of Tibet. Having already invested 74 billion dollar in this project, China plans to complete this project in 2019 with the stated aim of this project is providing irrigation, mitigating the effects of floods and generating electricity to meet domestic demand.